Why is the "green wire" so special? and when you wash the car and it wont start this could be a possible reason why. that said putting in the correct Bosch parts is the best bet to insure continued reliable service. Same goes for swapping in substandard ignition parts like coils, caps and rotors and ignition wires. After finding cheapo parts and trying to get the engine to run correctly, it just saves a lot of time to do it right the first time and possibly keep the car off the hook of the tow truck. 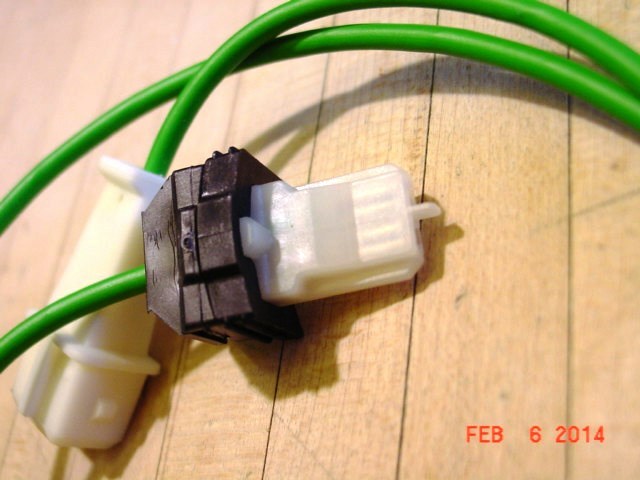 Your local autoparts store should have the female connector for that end. Its a 2-pole male AMP junior plug. Its the one on the other end which is unique. My Bosch connector was bad so I tried to replace it with a new connector which didn't go too well so I bypassed that connector and wired it straight through. Works great. I think at the time I had spent so much money on it I couldn't stomach anymore so I cut a corner. I have it covered up pretty good. that looks pretty good ...for now that is if you have other priorities or it doesn't give you any trouble at all. So, who is going to take the "A" on molding-up a bunch of distributor-side plugs. Should be doable on the benchtop with a crude unit mold and a cold pour of some sort? Don't the electronics prototypers have means / materials for this? 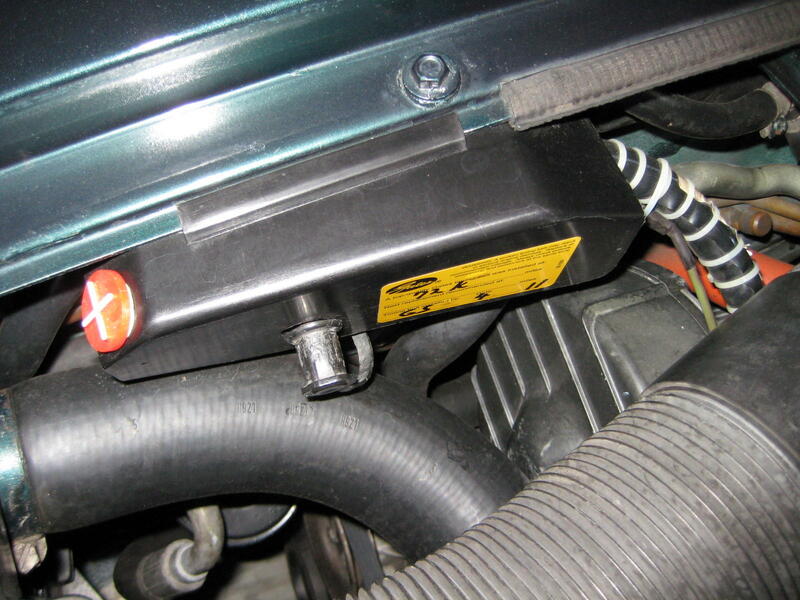 Would need resistance and durability to the engine bay environment. 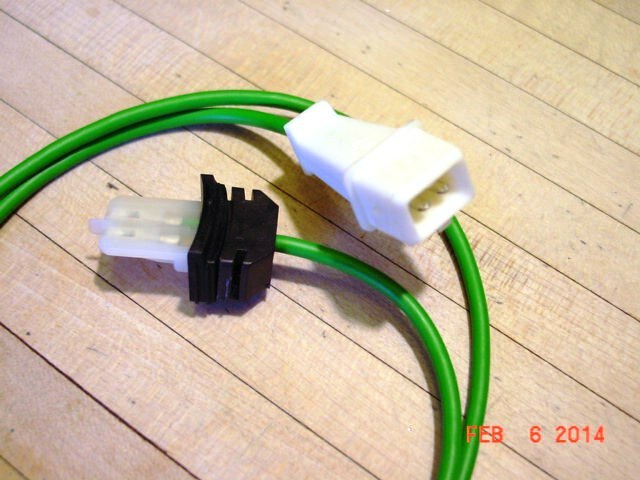 I sell the Green wire for $98.20 and already said the connector at the distributor end is all that makes it special. John Speake has an alternative for about half the price but we need cores to reuse the connector. If the connector is toast we are SOL. Is this your price for OE or AM? I want this project, just need to clear a couple others before I can get to it. I figured this is an item that will only increase in price until it becomes NLA. I believe this would be a great project inkeeping with what 928 Classics is all about. Bump.... Just wanting to resurrect this discussion as I am going to be buying a green wire within a month or 2. Has anyone looked into making a new distributor end? I have. Unique injection molded parts and progressive-die terminals. Not insurmountable, but high capital expense. It's a project that will have to wait until my business develops some operating capital. If anyone has time on there hands and can find 'off the shelf' terminals (for the distributor end), that would be HUGE! 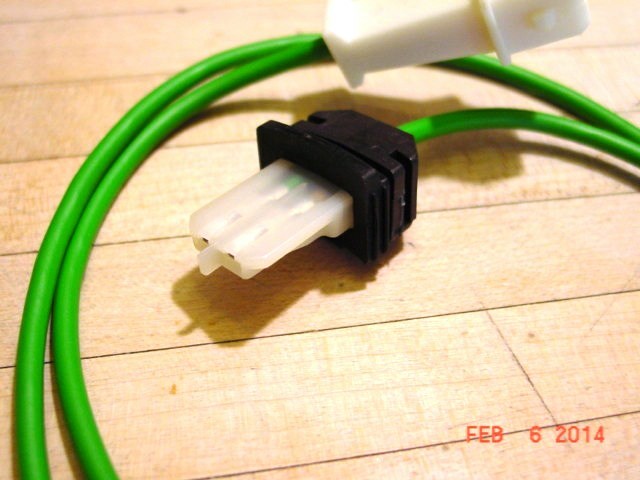 If someone has a bad green wire with the 'rogue' connector that they are willing to send me, I have a friend who runs the prototyping lab at a major computer manufacturer, and he specializes in connectors of all types. He is willing to try and model the part we need . He is a walking encyclopedia of parts! PM me if you can help this much needed cause. Tell me what type of magical properties this little piece of wire has that make it so costly. It's German Engineering made only in Bavaria. You would not understand the subtlety of it's design or purpose. 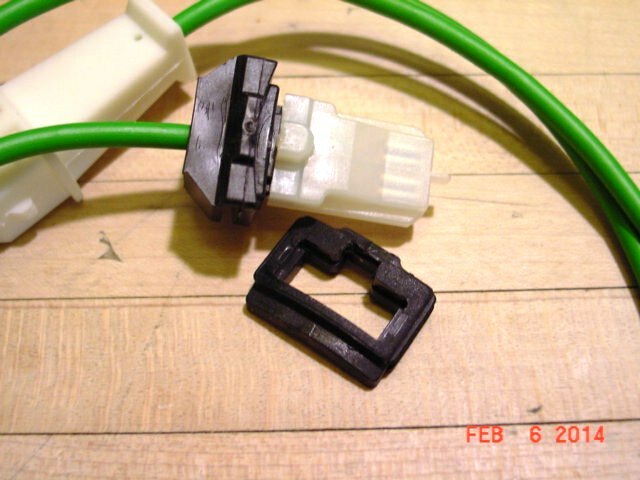 If you're thinking of taping it up; it won't work as a black wire or a green wire with black stripes. 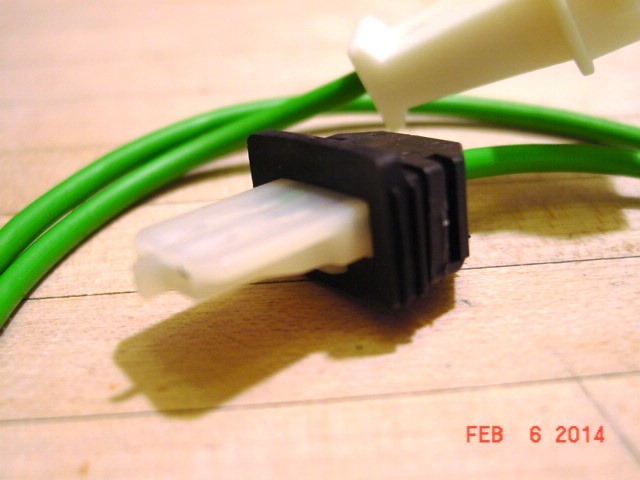 IIRC John Speake could not find the distributor end of the green wire. We were totally dependent on receiving good useable cores to rebuild another green wire. As most cores were toast (end was brittle and unusable) this died a natural death very quickly. 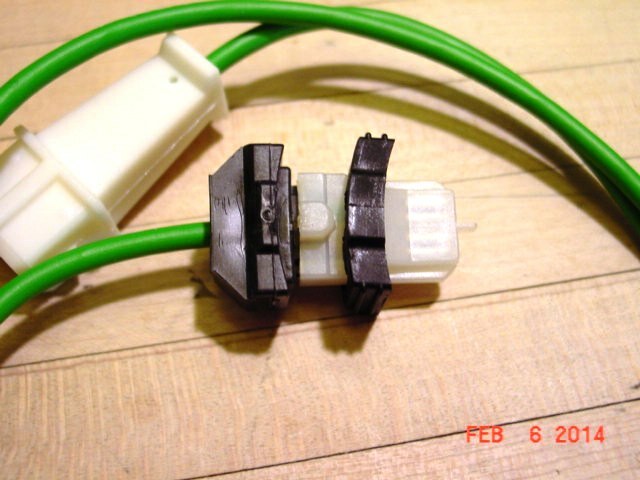 Maybe easier to find an alternative method of connecting the wire to the distributor that is readily available. I used to be able to buy OEM from Bosch but this dried up and I can only buy direct from Porsche. List is $128 and the good news is they have over 300 in stock. Unless someone else has one readily avail that isn't on a car I will send mine in for the greater good. But I'm sure someone here has one sitting around somewhere. I'm pretty sure that is part of my no start problem and the non distributor end has disintegrated but I believe the distributor end is good. I will check tonight. As I mentioned before the Green Wire is only available via Porsche. Here are some pictures of a new one - the spade type connector is the distributor end. Notice the additional black slide on plastic piece. I can only surmise that the green wire is used on another application and this extra piece is needed. It does stop the part being used on a 928 so we remove it before shipping. I know I need a better camera. 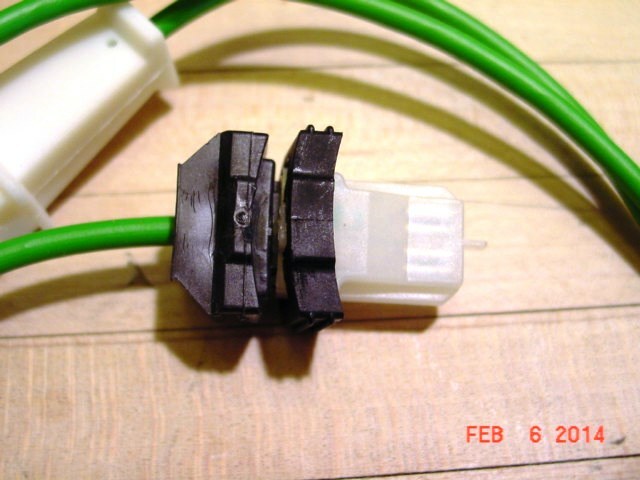 the 911s of the 70s early 80s also use a green wire...and also have problems with it. I thought I recognized it in the 930 forums. Quick Reply: Why is the "green wire" so special?